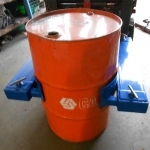 Special Grab-O-Matic Side Shift Drum Grab – a pair of fork attachments with stainless steel gripping pads for a side shift fork truck to grab steel drums in an ATEX area. 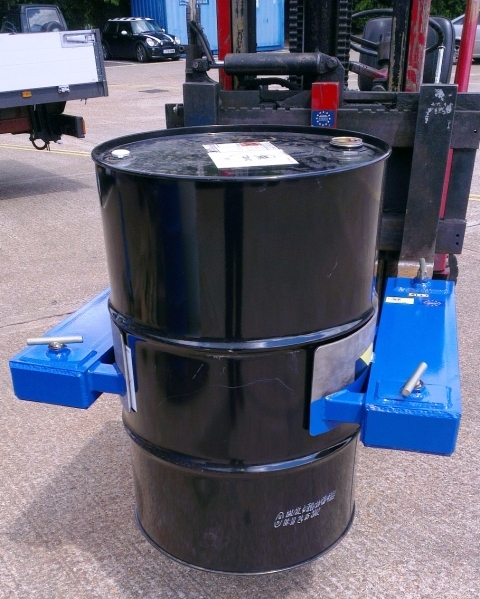 These units are made bespoke to customer requirements and can be fitted with standard steel gripping pads or rubber faced pads if required. For gripping drums around the middle with a pair of drum clamps. 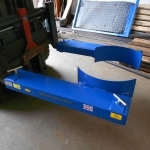 A special double side shift fork carriage is required for this attachment. 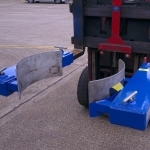 The clamping paddles can be made to suit customer drum types.